Insectstore.com gives you access to a host of care sheets, photos, guides and public discussions about praying mantids, stick insect, beetles, spiders, and more. We also give you access to the best breeders, and links on where to buy quality captive bred stock to add to your collection or breeding stocks. 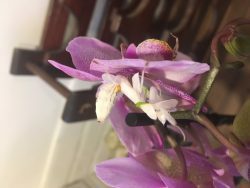 If you are looking for Orchid mantis for sale, including ootheca, please check out the Orchid Mantis – Hymenopus coronatus page. I am currently breeding Orchid mantis, Idolomantis and Gongylus. If you are looking for nymphs, then please drop me a message as they will soon be available. Update: Please check out the Idolomantis page, I have some ootheca that are available if you are looking to buy. These are currently on pre-order, so the waiting time for ootheca will be around 3 weeks. Praying mantids have long been kept as pets, with some hobbyists having 1 or 2, and some building up collections into the thousands of insects. It’s very easy to replicate the natural habitat of a praying mantis in the home, and with a few pieces of inexpensive equipment, you can put together a professional looking setup that add great interest to the home. There are numerous online sources of praying mantis, but at Insect Store we aim to offer a range of different praying mantids for sale. We also sell ootheca, which are the egg pods of the praying mantis. These can be a much better alternative to post rather than a live specimen, and can also mean you can easily raise your own culture of nymphs from a single hatch. Insectstore provides a whole host of caresheets and information on raising a whole host of different species of praying mantis. From the likes of the Sphodromantis (African mantis) and Pseudocreobotra (Spiny flower mantis) to the likes of the Hymenopus (Orchid mantis) to Idolomantis (Devils flower mantis). 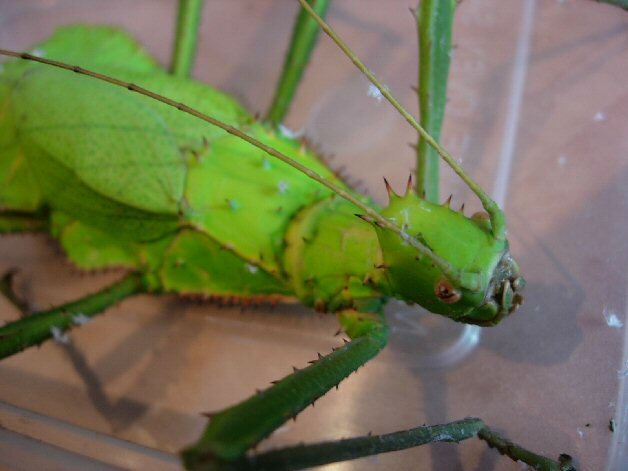 Stick insects provide alternative yet easy to keep pets, similarly to a praying mantis. However, maintenance of stick insects is much easier, in the fact they don’t need to be fed livefood. Not only does this make rearing them easier, but much cheaper. Most stick insects live on a staple of common plants such as ivy, oak or bramble, however each individual species will require their own dietary requirements. Check out our care sheets for more information on what each of these species will eat. Similarly to praying mantids, we’ve got a whole host of information on how to keep and rear a range of stick insects. 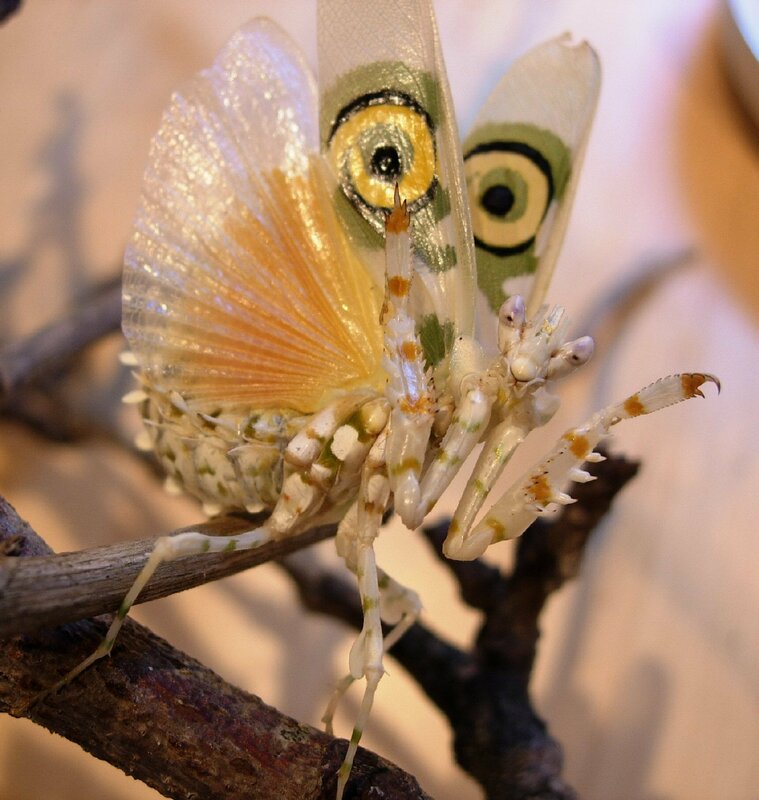 Our store also sells a range of stick insect adults to nymphs, and occasionally eggs as well. If you check out the store tab at the top of the website, you’ll see the current range of praying mantids and ootheca we have for sale. If there’s something you want but can’t see it available, then feel free to drop us an email using the contact form. 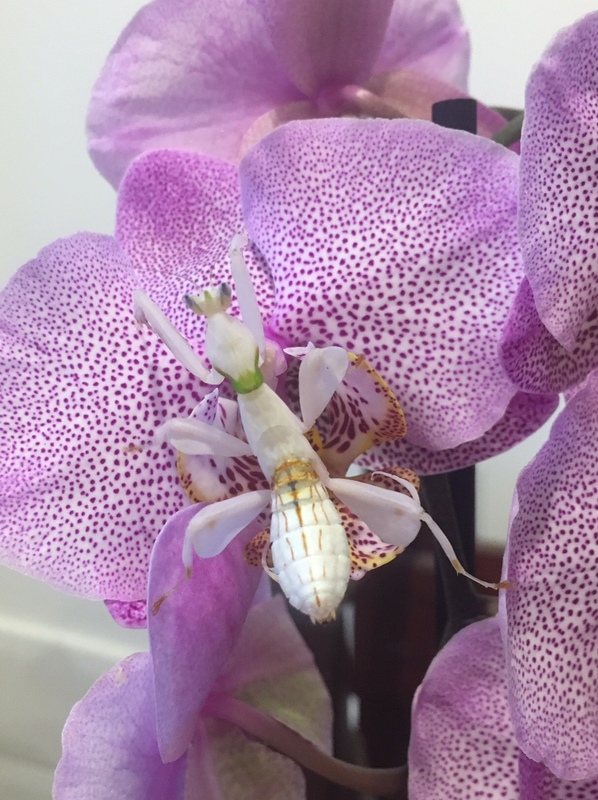 I’ve been getting a lot of messages from people regarding orchid mantis for sale. At the moment I’ve got several adult females in breeding, and expect to have some ootheca available over the next few weeks. Depending on how many nymphs I hatch and raise, will depend on if any will come up for sale. Unfortunately I won’t be selling any ootheca. 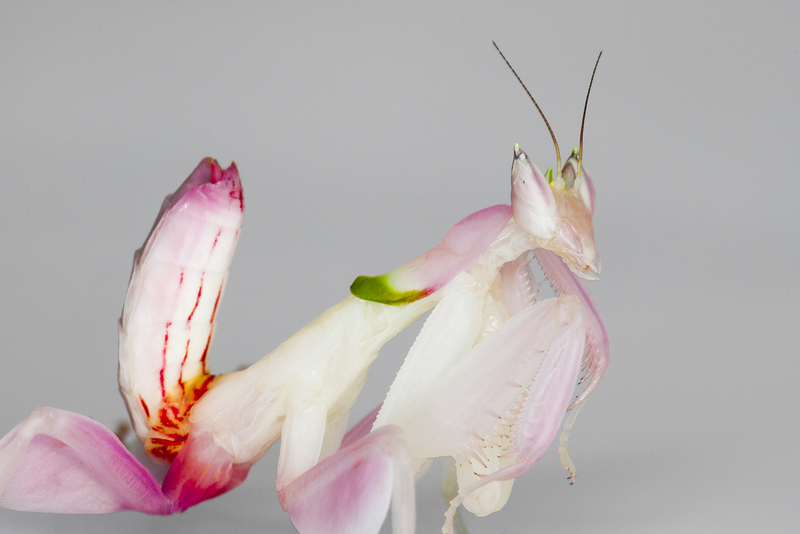 If you are looking to buy orchid mantis (or any other praying mantis species), then I recommend you search eBay using the link at the top of the website. Here are a few updated photos of the Orchid mantis females I have at the moment, slightly smaller than sub-adult (about L6). These won’t be for sale, but kept as breeding stock. Update: Please note if you would like to buy ootheca of the Orchid mantis, then please contact me. These will be wild caught and not captive bred, but at the moment it’s the only source I am aware of, and won’t have any of my own personal ootheca for sale for a while. I currently have some sub adult, and L6 Orchid mantis nymphs, all females. My sub adults should be shedding soon, and I’m currently looking to source a male to breed. As and when I get some orchid mantis nymphs or ootheca, I’ll update this page, but I will be holding a lot back to start building up a good sized culture.